Used MRI Scanner Systems at V.I.S. Imaging, Ltd. We specializes in buying and selling Used MRI Scanner systems, Pre owned MRI Scanner systems and Off Lease Used MRI scanner systems. Through our database and dealer network we buy and sell all types of Used MRI Scanner systems, Open magnet used MRI scanner systems, Low Field and High field Used MRI Scanner systems. We also buy all used MRI scanner systems. If you have an older Low Field used MRI scanner or a newer High Field used MRI scanner call us today for a quote at 718-6215344 or Email Us and let V.I.S. Imaging, Ltd. be the company that makes your transaction go smoothly. At V.I.S. 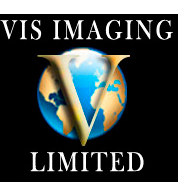 Imaging, Ltd. we go beyond he sale of used MRI scanner systems. We deliver on the complete process so you can be confident in the outcome. We can have your newly reconditioned MRI scanner up and running in as little as five business days. All of our turnkey MRI scanner systems will take your project from the start of planning to clinical training. We have trained experts in every field including architecture, construction, equipment selection, financing site planning, installation and applications training. Rely on our Expertise and Purchasing Power. You can rest assured that with our experience and expertise in the field of used MRI scanner sales that will help you select the right MRI scanner to fit your needs. Our experienced engineers conduct on site inspections of all our MRI scanner systems before removal. After the MRI scanner is removed it will then undergo an intensive internal inspection of all components, subsystems and software. Any component will be replaced to guarantee that the MRI scanner you purchase will meet or exceed OEM specifications. After any of our MRI scanner systems have been installed you can be confident knowing that your MRI scanner is covered by our warranty. After the warranty period you can easily take advantage of a wide variety of service plans that best suit your needs and budget and will continue to give you access to the most experienced ct scanners engineers in the industry. V.I.S. Imaging, Ltd. wants your used MRI Scanner. We are always buying used MRI Scanner systems, pre owned and off lease MRI Scanner systems from hospital, imaging centers, leasing companies and from OEM trade ins. Contact us today at 718-621-5344 or Email Us and let us know what you have. We will let you know the value of the system. When we make an offer we always pay in full before removal and always pay all removal costs. If your system is too old to have a value we will either remove the system at no cost to you or in worst cases we can get you a quote to remove the system. All our de-installers are fully licensed and insured. 1.5T Magnet Strength, Actively Shielded, Short Bore Magnet, Dual Console, Phased Array, OR70 Magnet, Numaris Software, RF Measurement System, RF Coil Set, Coils Include the Following: Head Array, Spine Array, Neck Array, Body Array, CP Extremity, Head Coil, Shoulder Array Large. 1.5T Magnet Strength,CXK4 Short Bore Magnet, EXCITE, HP Computer, 12.0 Software Level, 8 Channel & 4 Channel Coils Included, Sumitomo Coldhead and Compressor, ACGD Cabinet, EXCITE 8 Channel System, Options Include the Following: Echo Planar Imaging, Fast Gradient Echo, Cine, Fast Spin Echo & FLAIR, Time of Flight, Phase Contrast Vascular Imaging, Research, Research PSD, Spectroscopy PROBE, SGD Echospeed,DW EPI, FLAIR EPI, SPECIAL, Smart Prep, SSFSE,Three Plane Localizer, Modality Worklist, E3DTOF, FSE_XL, Bloodsupp, Fastcine, Tagging, Sgdperf, iDRIVE Pro, iDrive, Smartprep 2000 Upgrade, Probe 2000 Upgrade, Functool 2, Voxtool, Interactive Vascular Imaging, Clariview, Performed Procedure Step, Fgret, Fgret Real Time, Spiral Hi-Res, Spiral Real-Time, iDrive Pro Plus, PROBE 3D Brain, Ultrashort TR, T2 Breathhold, SSFSE MRCP, T1 Breathholding, ACGO PLUS, Fluoro-triggered MRA, MRCP3, Dynamic R1, Fiesta 2D, Fiesta 3D, Delayed Enhancement, Asset, Probe PRESS, Navigator, 3DFRFSE, TRICKS, 3D Delayed Enhancements, 3D Fat Sat FIESTA, Propeller DWI, Propeller T2, MR Echo. 0.2T Magnet Strength, Permanent Magnet, Phased Array, Coils Include: T/L Spine, Head, Shoulder, Extremity, Wrist, Medium, Large & X-Large Flex, 9" & 11" GP Coils, Housed in Calumet Coach Trailer, On Board 8100 Dry Laser, On Board 60KW Generator, On Board Environmental Control System, Hydraulic Patient Lift.